I have seen the likes of Killer Beaz, The Ambassadors, and Brad Montague in concert (I know none of you have heard of any of these guys except DS b/c he took me to Killer Beaz), but now soon I will actually be able to say I’ve seen someone remotely famous in concert. On October 24th I’m heading up to the Ryman Auditorium in Nashville, TN to see Jim Gaffigan, a successful comedian behind clean comedy albums like “Beyond the Pale”, “King Baby”, and “Doin’ My Time”. Gaffigan’s starred in shows like “That’s 70s Show” and does random spots as an extra, along with doing regular work with Conan O’ Brien. His stand up sets have also appeared on Comedy Central, earning him his own hour long special from the “King Baby” set. He’s not the most famous comedian, but his stuff is some of the funniest going around right now, he’s even been called “One of the best stand up comics in the country right now”. According to his personal website, Gaffigan is also very close with his fans and stays after shows to meet and greet with those who paid to see him, along with selling merchandise and old albums. I am totally excited for seeing his performance and cannot wait to get some pics from the trip. Check out below to get a feel for some of his material. 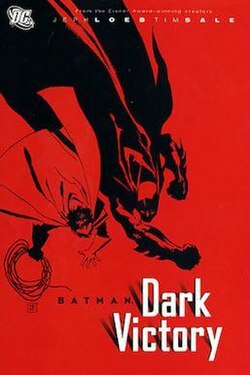 After The Long Halloween, several questions were left unanswered, and there had to be a sequel to put an end to the crime families, take care of the loose villains, and further explore Batman’s inner self, his inner psychology. 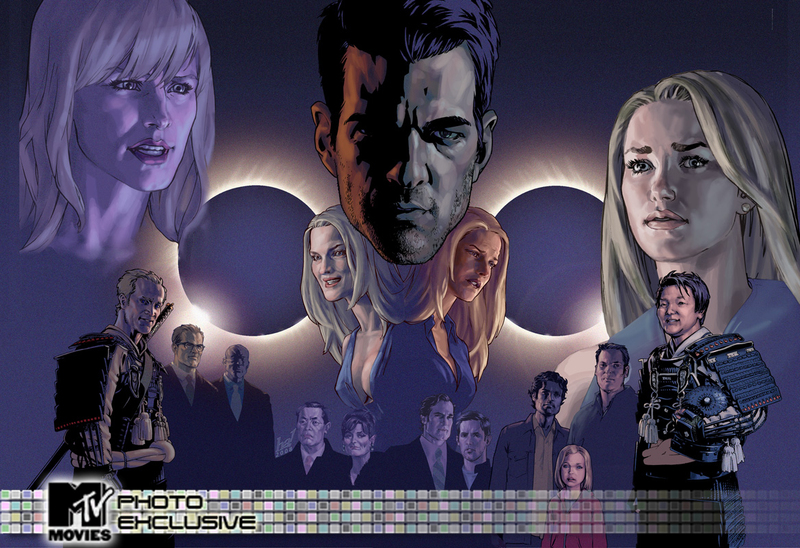 That graphic novel is Batman: Dark Victory. The story takes place directly after the events of The Long Halloween, in which Alberto Falcone had been convicted of the Holiday killings. Harvey Dent is also on the loose somewhere in the streets of Arkham, and all of the mob families are after him. To make things better, there’s a new serial killer on the run, “The Hangman, who gets his name by hanging his victims, all Gotham City Cops. The only real problem I had with Dark Victory was that it referenced The Long Halloween a lot. They almost use it as a structure for the new story. My favorite comic artist, Tim Sale, who also does the artwork for Heroes, does a great job in this one with some wonderful depictions of Poison Ivy, Solomon Grundy, The Joker, and Mr. Freeze. A really cool thing that he does with the art style is that he accentuates certain characteristics of certain characters. For example, in the Joker he accentuates the smile, the sleek demeanor, the way he carries himself. In Poison Ivy they show off her plant physique and vines. Some won’t like it, but those looking for different looks will find favor in it. Jeph Loeb also does a wonderful job telling a compelling and interesting story. As in The Long Halloween there’s a serial killer that noone can figure out, and the final verdict is something I didn’t even think about, however made perfect sense. Which is what makes great mysteries worth sticking in for. Robin is also introduced into this storyline, which, even though it felt forced to me, made Robin seem like a thought provoking character. If you enjoyed The Long Halloween, Dark Victory without question is a must read just to finish the story. 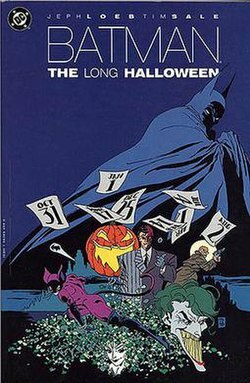 Even if you’re just a regular comic book or Batman fan, I highly recommend the “The Long Halloween/Dark Victory” story arch. Yes, I know, Nolan did a post just like this. I don’t know if you guys are gonna attack me over this, but instead of attacking me, just let me know if this offends you in some way or if you’d rather not see it up, and I will take it down if you’re request is sound. Thanks. 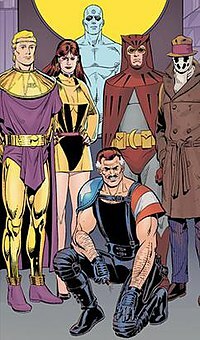 In the world of Comics, movies based on comics, and television shows based on comics, there are a lot of superheroes that come through to save the day, however, there are also often times just as many super villains trying to thwart them. Here is my list, along with explanations, of my top ten favorite super villains. *Remember all avid comic readers, I don’t read too many comics, a lot of this is based on the movies and TV shows. Sylar a.k.a. Gabriel Grey-I had a lot of trouble deciding between him and my #2. I eventually decided Sylar because in the show, he was so well hidden and disguised throughout the first few episodes, and then they finally reveal him a flashback episode, where they show why he is what he is. Sylar is a truly psychopathic villain, he probably goes the farthest any of the villains go just for the sake of adversity. He removes people’s brains and uses that to acquire their abilities, which ends up distorting his own personality, making his truly delusional, and my favorite villain. The Joker-I was so close to giving it the #1. The Joker is one of Batman’s arch nemesia, creating an ultimate foe by committing all of these horrible deeds, just for the sake of anarchy and chaos, just to corrupt the balance of society. He is also probably one of the best portrayed villains, having a multitude of great actors portray him. Magneto-I know I’m gonna get props from James for this one. (Remember James, props are good.) Magneto is a brilliant villain, and is probably the oldest on the list, however the fact that flipped a truck in X3 gave him this spot on the list. 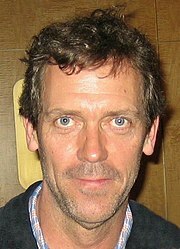 Adam Monroe-Another Heroes Character, Adam was introduced in the second season. He’s an immortal, and has been living for 400 years. Adam worked his way to Texas by conning several people and tried unsuccessfully to unleash a virus that would leave him to be a leader of a new society. Two Face-Harvey Dent’s alter ego created in the comics from Maroni’s vengeful acid scarring is one of the saddest villains in my opinion. All he wanted was the good for his city, and instead he is scarred and left to his own vigilante ways to seek revenge. Doctor Octopus-Otto Octavius, the brilliant scientist who uses his maniacal tentacles to commit crime made his way onto the list based on Alfred Molina’s portrayal in 2004’s Spiderman 2. The villain is just your slack jawed lacky, but is actually a bright mind. Green Goblin-Another entry made by the film series Spiderman, Willem Dafoe’s portrayal of the Green Goblin in 2002’s Spiderman was psychopathically excellent. Venom-I might get some slack for this one from DS. Venom is the alien symbiote that attached itself to several people in the comics, and attached itself to Eddie Brock in 2007’s Spiderman 3. Venom shows off the bad in it’s carrier, so theoretically, there’s a little bit of Venom in all of us. Sandman-A character who could have made it higher up the list if he would have been a little more fleshed out. Sandman is a truly tragic character who only wants the best for his daughter in 2007’s Spiderman 3. His character is one I really enjoyed watching in the movie, and left a tear in my eye. What? I had been watching Extreme Makeover Home Edition. Daniel Linderman-The crime boss of Heroes, Daniel Linderman is the ultimate con artist, conning people, and being the messiah for some like Adam Monroe mentioned earlier. Daniel Linderman had the ability to heal, however was ironically killed in his New York office by brain squeeze. Here are a few clips from Kevin James’ stand up special, Sweat the Small Stuff. I guess Sam Raimi took my advice, or part of it. From what I’ve read on FilmPeak.com, the villains for Spiderman 4 are scheduled to be Carnage and The Lizard. Remember, Dr. Connors still has that symbiote piece, and it is rumored the suit survived the explosion at the end of #3. The suit will find it’s way to Cletus Kasady, a serial killer, to become Carnage. As for the lizard, it doesn’t take much thought to figure that out. Dr. Connors was working on a project to help grow back his arm, like a lizard, and it turned out to cause him to mutate into the Lizard. It will be interesting to see how they differentiate Carnage from Venom so people won’t get confused, that and how they’ll bring the Lizard to the big screen. As far as I know your best bet for this one would be at Best Buy for $10, which is a bargain to me. The last is a couple of new Heroes wallpapers for you guys, just click on the links below for the 800 X 600 versions. Let me know if they don’t work. 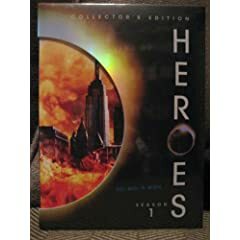 Finally, and probably most exciting for me because I’m a nerd, are the Heroes Action Figures, being produced by Mezco Toys. Announced at Toy Fair 2007, a full lineup of Heroes characters will be modeled into action figures. I automatically wanna know where these will be sold. It would be hard to keep them in their packages, I wanna play with them and make them reenact scenes that never happened in the show! Here’s a link to the page. They are expected to reach the market this summer. The figures now include Hiro, Sylar, Peter, Claire, and Mohinder, although interest has been displayed in making ones based on The Haitian, Mr. Bennet, Feudal Hiro, Linderman, Niki, Nathan, Future Peter, and Elle. These are expecting late this Fall. Unfortunately I am not able to put the pictures on my site, but I have provided a link.